Biotin is an essential vitamin that delivers many health benefits to the body. It supports the growth of hair and strong nails as well as boost the health of your skin. For this reason, it’s regarded as a “beauty vitamin.” But that’s not all; this vitamin supports various systems in your body. Because of its many health benefits, many are in search of ways to supplement their daily biotin intake. Some go the natural way and incorporate biotin-rich foods in their diet. However, the most popular way is relying on the best biotin supplement products. The market is flooded with many biotin supplements products; some are high quality, but others? Not so much. This has made it difficult for many to select the best. To help you make an informed decision, we have compiled a list of the three best biotin supplement brands on the modern market. Natrol is a superior manufacturer with invaluable experience of making minerals, supplements, and vitamins. The company is dedicated to making products that empower every consumer and improve their quality of life. One of their best product is the Natrol biotin maximum strength. This is an incredible supplement renowned for its benefit to restore natural, healthy hair, strong nails, and radiant skin. The product contains 100 biotin tablets and each supplies 10000mcg of biotin which is equivalent to your 3333% daily biotin requirement. In addition, each tablet provides high-quality calcium (up to 66mg) which is 7% of the daily requirements. Other ingredients found in the product include silicon dioxide, stearic acid, microcrystalline cellulose, magnesium stearate, glycerin, cellulose gum, and methylcellulose. Moreover, the product is fortified with essential natural properties of biotin which make it superb in rejuvenating skin, resilient nails, and promoting lustrous hair. Besides, Biotin, also known as Vitamin B7 or vitamin H, is supplied in enormous amounts which contribute immensely to energy production in the body. It’s a vital coenzyme that promotes metabolism of fats, protein, and carbohydrates. Natrol Biotin Maximum Strength doesn’t contain egg, milk, fish, tree nuts, crustaceans, wheat, soybeans, peanuts, corn, yeast, artificial flavor or colors, extra sugar, preservatives, or starch that some people are allergic to. For this reason, the product is good for vegetarians. It is a high-quality product that is put through a strict quality assurance program as well as an exhaustive qualification screening. It has passed the rigorous quality checks to ensure it’s safe for human consumption. Sports Research is a renowned, family-run manufacturer with established footprints in providing quality health and wellness products. The Company has a reputation of making products that complement consumers’ lifestyle and enhance their wellbeing. If you are in the market for a product with an amazing potency, the Sports Research Biotin is an excellent choice. This product is made with high-quality ingredients and is enhanced with natural coconut oil for quick absorption. Its main ingredient is Biotin which is supplied as a d-Biotin USP. However, there are other vital ingredients which include; extra virgin coconut oil and V-gel made of vegetable glycerin, tapioca, purified water, and organic beeswax. This Sports Research Biotin supplement has 120 mini veggie soft gels which are made and packaged in an NSF and cGMP facility based in the United States. Each soft veggie gel provides 5000mcg of high potency biotin which is enhanced with organic coconut oil for better support to hair growth, strong nails, and glowing skin. In addition, the product supplies vital vitamins which support cell growth and boost the metabolism of proteins, fats, and carbohydrates for energy use. Moreover, this is one of the best Non-GMO, IGEN Project-verified biotin products on the modern market. Its quality is backed by the 90-day money back guarantee; if no change is witnessed within 90 days, you just return the product and get a full refund of the amount spent. Nature’s Bounty is a reputable company that has over 40 years’ experience in the production of health and wellness products. The company makes trusted products using pure ingredients, and their process is backed by scientific innovations. This helps them to present products that improve the quality of life of the consumer and get the best out of their lives. One of their best product is the Nature’s Bounty Biotin. This is a superb product for anyone looking for one of the best biotin supplement brands that provide energy support and boost hair, nails, and skin. Its main ingredient is biotin. However, it contains other ingredients which include; yellow beeswax, vegetable glycerin, soybean oil, and titanium dioxide color. Nature’s Bounty Biotin is derived from water-based vitamins found in soy, vegetable, and oatmeal. The product contains 120 soft gels. Each serving (one soft gel) supplies 10000mcg of biotin which is equivalent to 3333% of your daily biotin requirement. The soft gels have no artificial sweetener or flavor, sugars, preservatives, milk, starch, wheat, gluten, fish, or yeast. If you are suffering from thinning hair or breaking nails, you need to supplement your biotin intake. The benefits you get from any product are proportional to its quality. A quality product must pass predefined selection criteria. We evaluated the three products based on price, dosage, quality, and genuine online reviews and the Natrol Biotin outshone the rest. 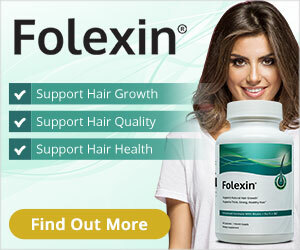 Each serving of this product supplies up to 10000mcg of biotin which is commendable. In addition, it has a lot of positive testimonials thanks to its natural ingredients. What’s also nice is that Natrol Biotin is reasonably priced and doesn’t compromise quality.